Part of the federal tax reforms passed last year were significant cuts to the excise tax imposed on craft brewers. Tucked inside the recently passed federal tax overhaul was a very specific tax cut that could cumulatively save Maine breweries about $1 million this year. The Craft Beverage Modernization and Tax Reform Act was passed at the end of 2017 along with tax reforms that lowered both personal and corporate tax rates. The act includes a two-year cut on the federal tax levied on a barrel of beer from $7 per barrel to $3.50 for the first 60,000 barrels brewed. The tax is $16 per barrel after 60,000 barrels, a drop from $18 per barrel. The size of the savings is directly proportional to the size of the brewery, leading larger brewers to consider infrastructure or research improvements, while smaller brewers say the windfall could mean nothing more than a holiday party for employees. 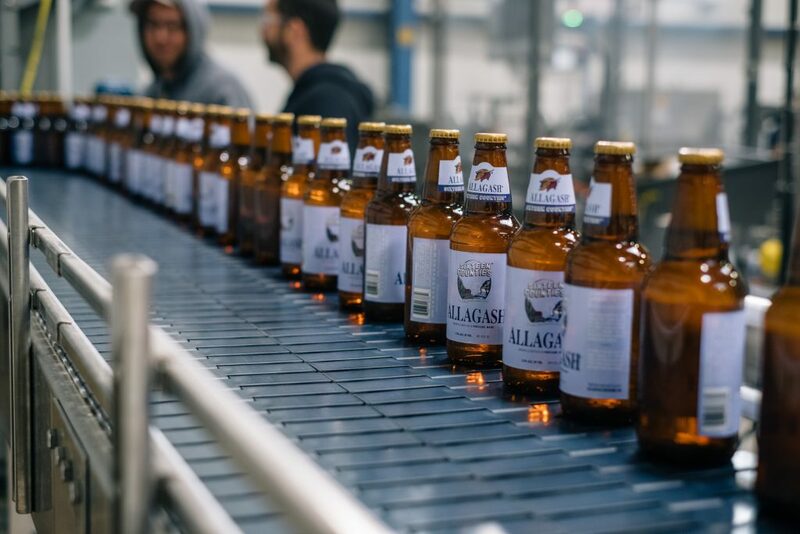 Two of Maine’s largest breweries, Allagash and Shipyard, figure to save more than $200,000 in excise taxes in 2018. But Saco’s Barreled Souls – which made 239 barrels of beer in 2016 – won’t see much of a boon, co-founder Matthew Mills said. Brandon Mazer, Shipyard’s general counsel and the president of the Maine Brewers’ Guild, said he was thrilled to see the changes come about after years of lobbying at the national level. While not every brewery will benefit equally, he said, they will all see a benefit. The tax savings came with other reforms, including a cut in the tax on liquor produced or imported. Liquor will be taxed at $2.70 per gallon until the end of 2019, down from $13.50 per gallon. And breweries now will be able to transfer beer to other breweries, which should aid in collaboration projects. But the immediate impact for brewers will be more money in their bank accounts. 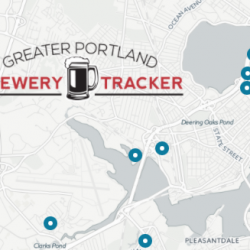 Breweries pay excise taxes throughout the year, on varying schedules, so they should start to see the effects right away, said Tina Bonney, who has an economics degree and is co-owner of Portland’s Foundation Brewing. Foundation, a medium-sized company, could save more than $20,000 on excise taxes, said Bonney. That should help it purchase pre-printed cans rather than slapping stickers on blank cans as it does now. Pre-printed cans are only sold by the truckload, which makes them a pricier investment up front, but they are far cheaper for brewers in the long run, she said. Bonney also said the savings will make it easier to offer her employees a new 401(k) benefit. “I was going to do it anyway, but it certainly isn’t going to hurt to have better cash flow to not be worried about my company match,” Bonney said. Across town at Shipyard, Mazer expects the savings will likely go into research and development, better equipment and employee benefits. Consumers are unlikely to see any price cuts because of the savings. Bonney said the savings equates to about 5 cents per four-pack, a negligible impact. Mazer said brewers could cut their prices to distributors, but distributors or retailers could maintain old prices and pocket the difference. And whether the tax-cut savings will stick around beyond two years is up in the air. Though the tax cut, originally sponsored by Sen. Ron Wyden, D-Oregon, is set to expire at the end of 2019, Republican lawmakers have said they’d like to make it permanent. Mazer, who serves on the national Brewers’ Association lobbying board, said the goal is to extend the cuts or to make them permanent. He added that the Maine Brewers’ Guild isn’t currently working on any specific proposals, but noted that Maine’s excise tax rate of $10.85 per barrel, separate from the federal excise tax, is the highest in New England. The Legislature is currently in a second session to consider emergency legislation, Mazer said, so the Brewers’ Guild will survey its members to find out what laws they should push to change at the state level in 2019, when the Legislature has a regular session.